The way an organization makes decisions impacts how successful it will be over the long-run. It is possible to argue that decisions are the only thing that makes a business feasible and profitable. 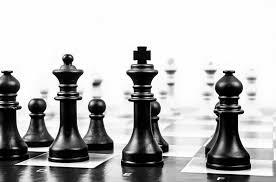 The difference between tactical and strategic decisions should be pointed out in the overall organizational management approach. Using them wisely can make a big difference in shareholder wealth. People often confuse the two when making organizational decisions. Tactical decisions are medium term choices that can impact the business but are limited in scope. A tactical decision might have an impact of a few months to a few years. They can have an impact on quarterly earnings and revenue streams but are limited in scope. Strategic decisions are usually longer than a few years and take into account market information to make the best long-term choices. Strategies are made of a series of tactical choices that help lead to the achievement of the strategy. Long-term decisions have an impact on the future viability of the organization and increase shareholder wealth over the long run. Managers use tactical decisions to make daily operational choices. Executives use strategy to create tactical choices that lead the fulfillment of their departments. When tactical decisions are used like a strategy, problems start to rise and the organization begins to be thrown around like a ship without a rudder in a storm. Tactical decisions that take a higher precedence than strategy put an organization at risk in the long run as decisions such resources and are based on the whimsical viewpoints of executives. All decisions should be weighed against the overall strategic goals to ensure that they are advancing, not detracting, from long-term shareholder wealth. The merit of each tactical proposal is based on its overall advancement of the organization's strategic position.